The Issue – After upgrading to iOS5 I noticed I had 4gb of “other” data when performing Syncs. Large amounts of Other Data appears to be a common problem on iPhone 3 & 4 with a major uptick of the issue reported after upgrading to iOS5. Apple Support search results for other data iOS5. The (normal) Solutions (you wouldn’t be here if these worked…) – I tried the most common solutions. Turning off iTunes Sync of Music and Photos. Turning off Sync for everything. Full restore from backup. Reset the device. Hard Reboots (hold Power and home buttons simultaneously for about 10 seconds). I even tried clearing the browser cache. No matter what I tried… the Yellow Bar of Death would not go away and continued to taunt me daily. And I could not, let, the, phone, win! Solution! 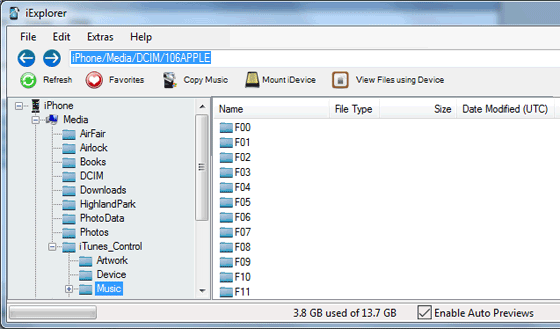 – iExplorer (Mac/PC) is a utility which lets you view the contents of your iPhone or iPad. Bingo! It took some work but I found the culprit – an “orphaned” 11 second 3.2 gigabyte video of pocket lint. The video did not show up on my iPhone or in Windows Explorer (thanks Cupertino…) but it did in iExplorer. 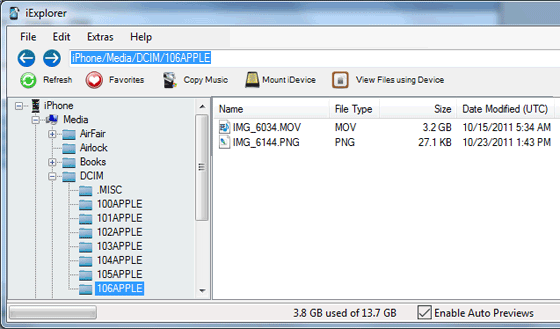 I copied the MOV file to my computer and the size indeed showed as 3.2gigs (pocket lint in HD). With a local copy I deleted the video from the phone using iExplorer. Boom! I have defeated the yellow bar of death!! Yessssss!!! Other Data – What is it? After several restores, resets, reboots and removing all apps, music and data my phone refused to give up 3.8 gb of “Other”. No Photos or Videos – No music, photos or videos… Lies!! Viewing the iPhone Control folders. I thought this was it as I had over 100 Music folders despite not having any music on the phone or set to sync. Deleteting them did not free up any space. Noted as “other” data can be here. Check all your folders and give them a second to enumerate. Thanks – I tracked down a 700Mb .zip archive created by The Settlers game, at /Media/ApplicationArchives. I had previously uninstalled the game, and wouldn’t have found the stray .zip without iExplorer. Awesome! Thanks for the tip, it was driving me crazy!! 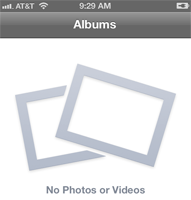 I just found the best solution to remove all other data in my iPhone4 on iOS 6.0.1. After every new suggested way in internet I just got only fraction of this yellow bar reduced and that was frustrating. Then I thought about Cydia, because my iPhone is jailbroken. First I installed a program called CleanMyI but it also did very small part of the job. Then I found iCleaner. In couple munutes iTunes showed no yello bar at all and I’m finally happy 🙂 Good luck! Many…..many……many……many….thanks to the writer/publisher for this great job. I was frustrated for my “other” data. It was about 2.54GB. My iphones capacity only 14GB. I tries many ways to remove “other” from my iphone. But i failed. At last I have found this article and follow it. Now my “other” data is zero.